Desire a worldwide work from home job? Located outside the US? Some of the global companies offering this job include Clickworker, Quicktate, and Upwork.com. The job involves entering information into electronic formats. The job is flexible enough to accommodate both beginners and experienced people. These companies hire both from the US and outside the US. Applicants should write a good resume, one that is hard to resist and will give you a position at these companies. Online tutoring job involves online teaching, homework assistance, content development and provision of e-learning resources. Chegg, Eduwizards, Tutorvista, and SmartThinking, are some of the companies and sites hiring for this job. The level of learning will vary from company to company. High school teachers, undergraduate students, Ph.D. holders and experienced teachers can apply for the job. A link will be provided at the end for more information such as who is eligible at what company. 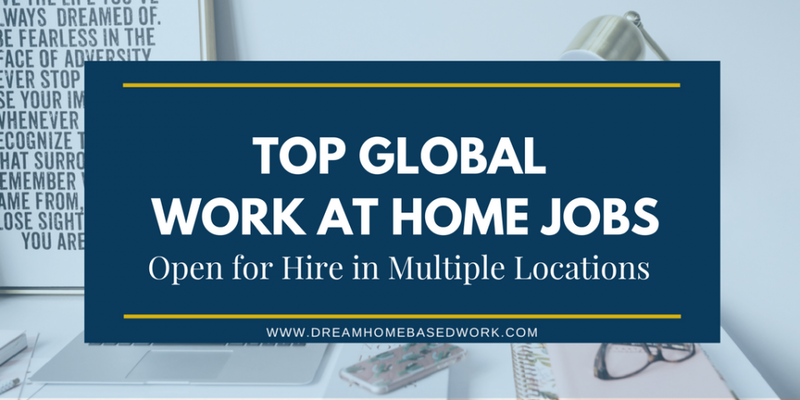 Writing jobs are among the many global work at home jobs that are easy to find. The job will involve creating content for blogs and global networks such as Livestrong.com. One must have good research skills, good punctuation skills and must make no grammatical mistakes. The pay varies with companies. 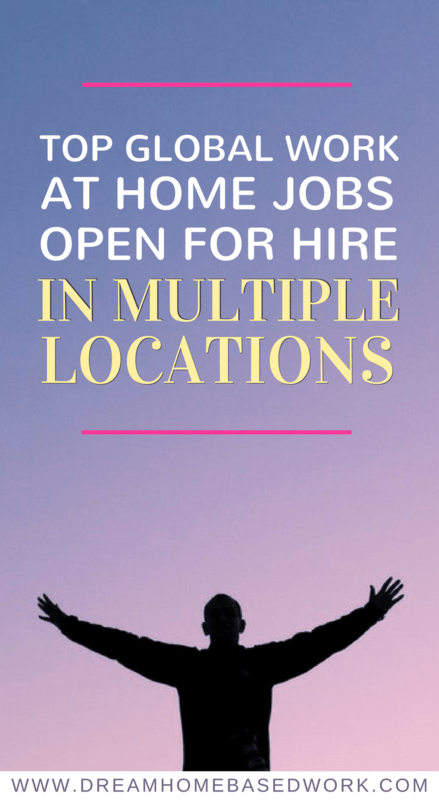 HireWriters.com, Textbroker, and WritersDomain, are among the sites that are looking for independent contractors for the job. Translation is an easy job. One who wishes to apply must make no mistakes, have great editing and proofreading skills and should have good listening skills. Translations ABC is a hiring company looking for translators, proofreaders, interpreters, and graphic designers. Others offering the job are Worldlingo and Lionbridge. Interpreters, voice-over artists, journalists, and desktop publishers can apply for the job. Being bilingual and fluent in more than 10 languages is an added advantage. There are two major types of transcriptions; General and medical transcriptions. If you wish to apply for general transcription, you must have fast and accurate typing skills, excellent grammar and punctuation skills, excellent hearing and listening skills. These requirements crossover to medical transcriptionist but one must also have some knowledge about medical terms and should be well trained for the job. Being a medical transcriptionist will require some experience and certification. Ascend and SpectraMedi hires medical transcriptionists while Quicktate –Read more– and Accutran global hire general transcriptionist. As a general transcriptionist, you will transcribe business meetings, conference calls, and interviews. Here are some more sites for these types of transcription jobs. The job entails interacting with customers and offering solutions to their problems. [email protected], CCI Call Center International and VIPdesk are some of the companies hiring globally. The job requires a social person who can handle customer requests and questions. Also, being fluent in a variety of languages such as Spanish, French, and German is an added advantage to you. This job entails managing activity on social media pages, forums, chat rooms, and more. Modsquad, Babycenter, and others here are some of the companies that hire globally. There are 100+ companies hiring globally in the various online jobs categories. The above is just an overview. For payment details for each company and for other global sites, follow this link which has affiliate links to these companies. Do not let the opportunity to work for these companies pass you by.